Welcome to my Nerd corner. 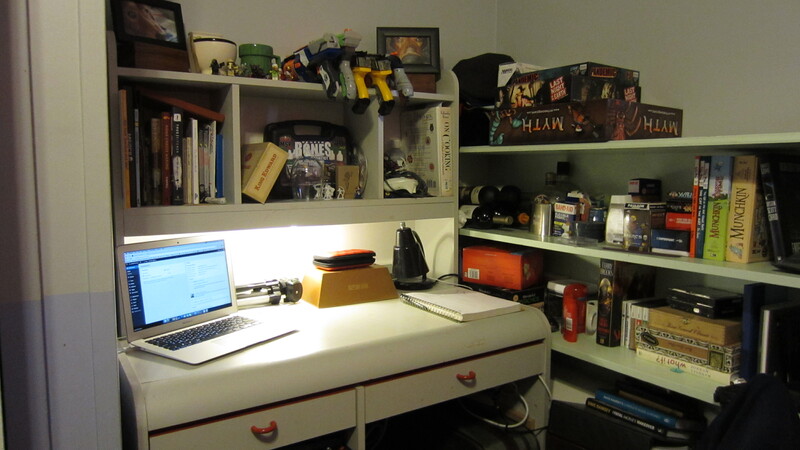 When I moved in I opted to have my roommate leave this desk and over the last year I have been turning it into my little section of all things geek. There really is not much organization to it. Also before any one can say anything about the macbook it is the only laptop I had the would fit reasonably well on the desk. All my pc laptops are too big. And this macbook was collecting dust. Also it very hard to type and do stuff on my bed I also needed a spot that I can do my hobby stuff normally I would do that on my computer desk downstairs but I needed a better lit area. 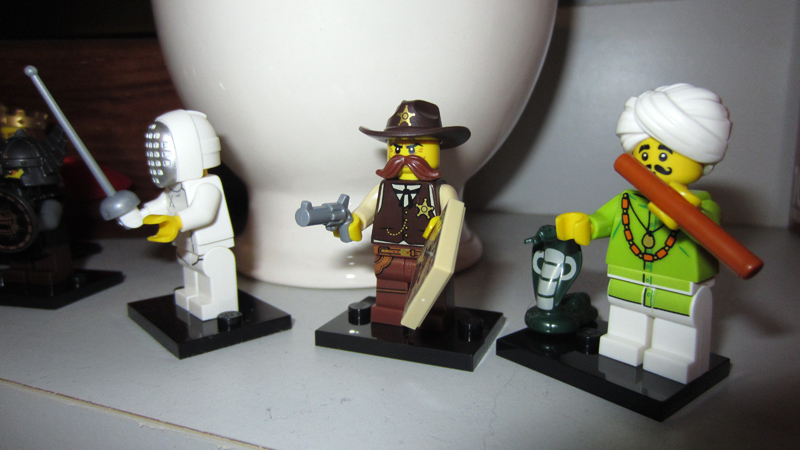 Particularly if I wanted to take better pictures of my latest hobby; collecting LEGO Minfigs. I don’t know what it is about these. 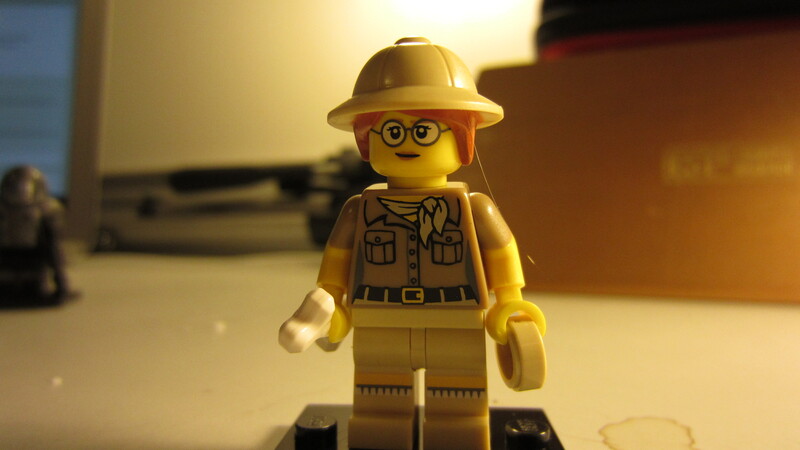 However eventually I want to start doing minifig customization. 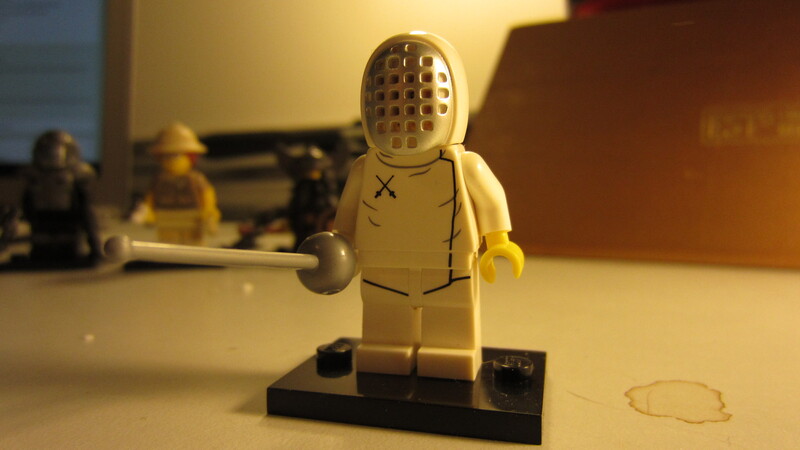 I have started the long process of looking at what is needed to customize a minifig. 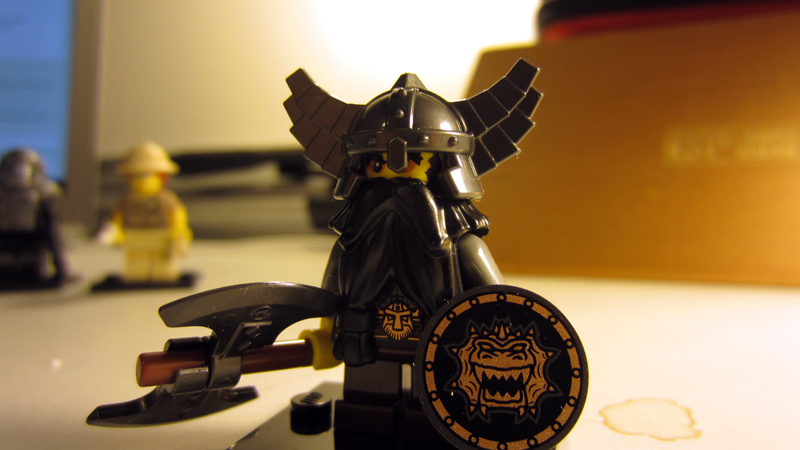 One good thing is I can use the same paints and tools as I use for my tabletop miniatures to do my customization of the minifigs. Knowing I had the tools I already need it was time to start hunting for the parts. As I have been doing the research amassing parts can be the hardest part of what I need to do so I have been watching some stuff on ebay. Come spring and summer I will have to hit up some yard sales. 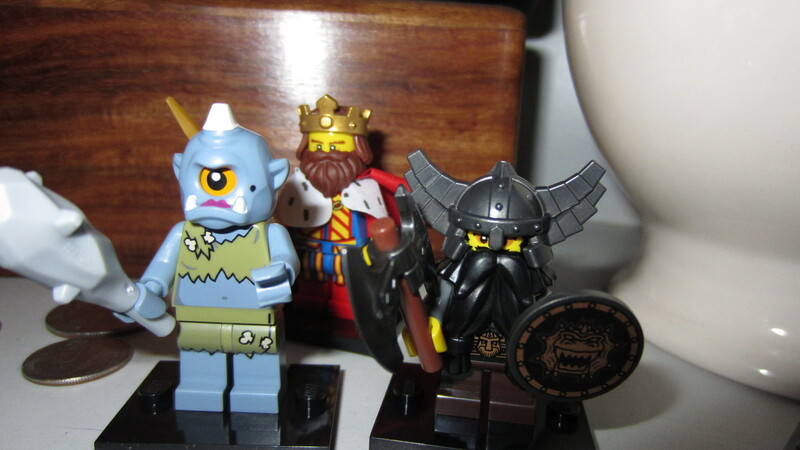 Most of these minifigs are from LEGO’s collectable series 13. I was not aware they were doing these collectable series until just recently. They are a blind bag so you don’t really know what you are getting until you open them up. 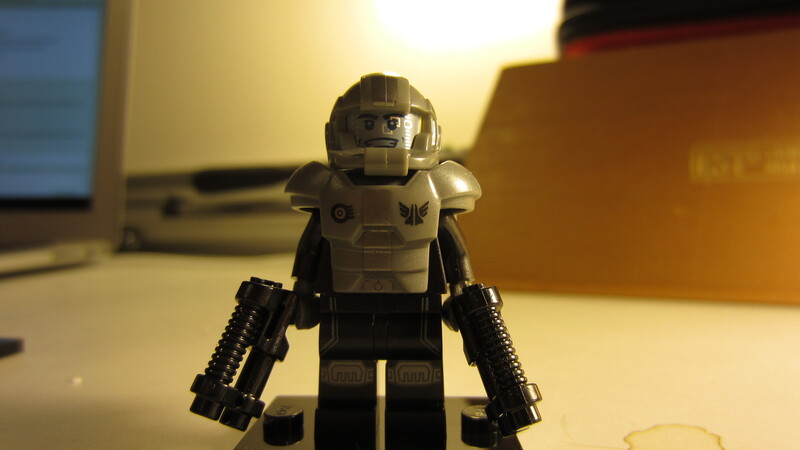 last but not least the space marine I have actually gotten three of these little guys but they are still a favorite. so there you have it my nerd corner and my latest hobby.